The PBE has been updated! As we continue the large and in charge midseason/7.9 PBE cycle, tonight's update includes more tentative balance changes and tweaks! Several chat call out strings added or changed to accommodate the new Rift Herald, including a string on enemy/ally summon and on kill/death. Others have been adjusted to say "captured" the rift herald instead of "slain" for when defeating in pit to obtain item. While not yet implemented and a work in progress, an interesting "missions" plugin was added for the LCU this cycle. 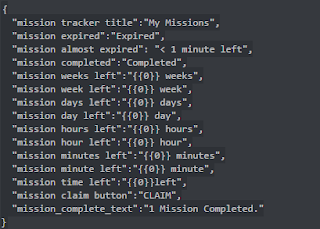 This limited set of strings implies there will be limited duration missions to complete that offer a reward to claim after completion. Frost Armor No longer broken by minions or small monsters. Icebreaker Damage vs large monsters now flat 400. First W hit now knocks back minions and monsters. Cooldown increased from 7/6.5/6/5.5/5 to 9/8/7/6/5 seconds. No longer deals 20% bonus damage to monsters.